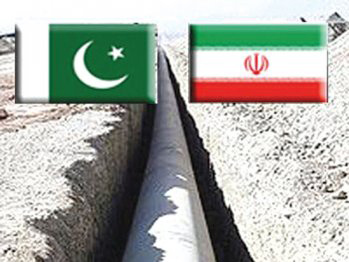 Pakistan's finance Minister Salim Mandviwalla has said that the finance ministry had approved the term sheet of the Iran-Pakistan gas pipeline line contract provided by the Iranian firm and Okayed the relevant government guarantees, a media report said on Saturday, IRNA reports. 'Express Tribune' reported that the ministry was supposed to issue sovereign guarantees to Tadbir Energy for the contract and provision of financing, which forms one of the preconditions for the Engineering Procurement and Construction (EPC) contract. The approval of the issuance of sovereign guarantees had already been given by a cabinet committee. "The finance ministry has now approved the term sheet and sovereign guarantees, paving the way for awarding the contract to the Iranian firm to launch construction work," an official added. A Pakistani delegation is leaving for Tehran again on Saturday (today) to finalise the contract with the Iranian firm. A final round of negotiations is planned to be held with Tadbir Energy on March 16 (today) and 17 (Sunday), and the issuance of sovereign guarantees is to be held on record, without which the Government of Pakistan will not be able to finalise the EPC contract with the Iranian firm. The Government of Pakistan has already initialled the award of contract to Tadbir Energy, but a final agreement has yet to be signed. Furthermore, the cabinet has also Okayed a waiver of the Public Procurement Regulatory Authority rules in order to award the contract directly to the Iranian firm. Pakistani public-sector firm Interstate Gas Systems (ISGS) and Iranian firm Tadbir Energy undertook the initial signing of the contract in Tehran, and the ISGS board later endorsed it. Iran has designated Tadbir to carry out the project, for which Tehran is also extending a $500 million loan. Tadbir Energy faces no sanctions from any foreign government, and is controlled by the Imam Khomeini Foundation, one of Iran's largest charitable groups. Tadbir will undertake all engineering procurement construction work for the first segment starting from the Iran-Pakistan border for around $250 million. Tadbir will also undertake the second segment of the project, and will increase the financing facility by allocating another $250 million to the project, subject to discussions regarding its involvement in the distribution of gas in Pakistan later on. It has also agreed to provide and assist in arranging $250 million as supplier credit, and any additional financing for the second segment. The Iranian firm will act as the lead contractor along with the nominated local subcontractor(s).